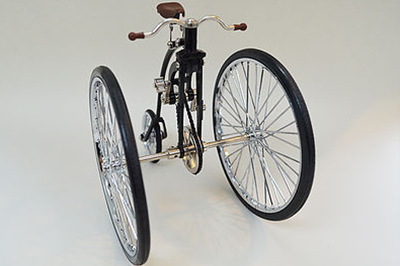 Who doesn’t love the Penny Farthing? 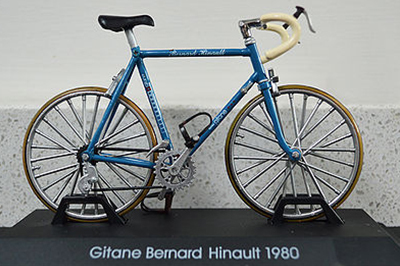 An early bike that might seem a little strange to those of us who are used to modern, high-performance road and mountain bikes, its iconic design is as famous now as it ever was. 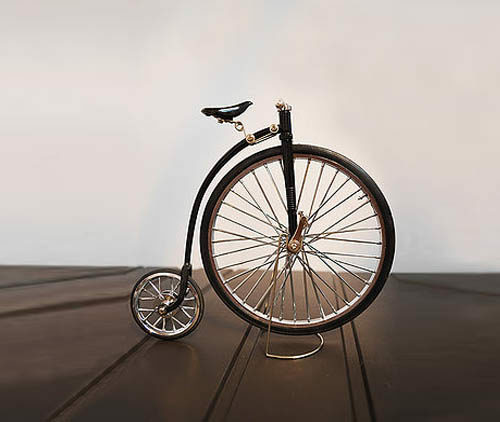 A little piece of cycling history, our model Penny Farthing is a very popular item that really captures the charm of these old-fashioned cycles. With die-cast metal components and rubber tyres, this is a high-quality item – and with vintage colourings to match the retro design, it’s sure to look great once you set it up for display. If you’re familiar with cycling history then you probably already know plenty about the Penny Farthing, but for those of you who are looking for a gift or want to know more, here’s a quick recap. Apparently given its name due to the fact that the large front wheel resembled “a penny leading a farthing”. Despite the distinct presence that it now holds in popular culture – symbolising the era, as well as marking the time at which cycling first began to be recognised as a sport – the Penny Farthing was only popular for a brief time, quickly becoming overtaken by the so-called safety bicycle. 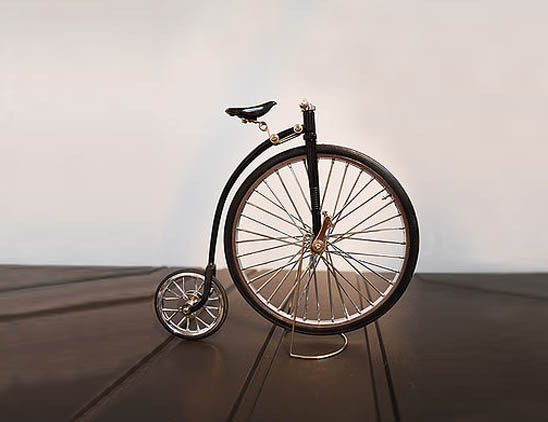 It’s certainly true that they’re still popular today, though: perhaps the inherent danger of the design, as well its connection to the past, help to drum up the excitement that the Penny Farthing’s shape causes. No matter what it is that makes this bike so enduring, there’s no doubt that it’s captured by this faithful model. 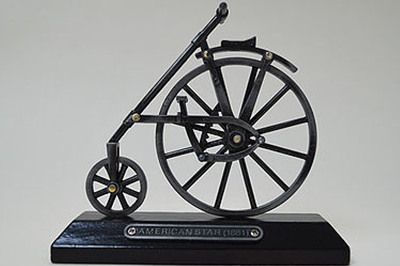 From the Spirit of America to the Cogent 1885, our bike model collection includes a whole range of classic bicycles, so it’s easy to put together a collection that celebrates some of the most innovative and memorable bikes in the sport’s history. 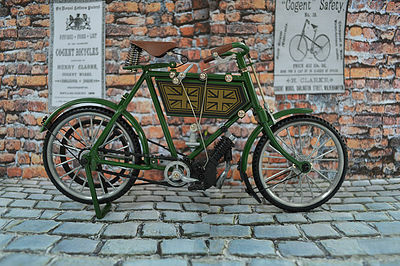 These all make wonderful gifts for anybody who is interested in the heritage of cycling, with options for self-assembly kits as well as pre-assembled models.